Great world building and character tone. 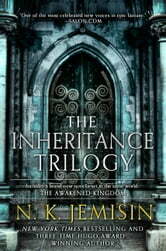 The timeline seems so rushed and compact towards the end, but otherwise a deeply engaging tale. Fantastic read, drew me in from the very beginning. I would highly recommend these books to anyone who enjoys fantasy. This is probably the best fantasy you will ever read. GIVE THIS BOOK ALL THE STARS!!! 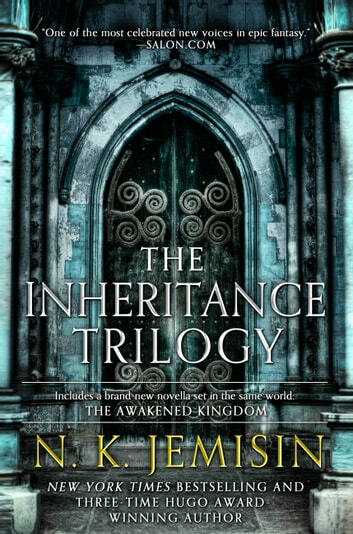 I've heard nothing but good things about N. K. Jemisin, and now I see why so many people love this author. Her work is AMAZING. Absolutely incredible. I literally had no idea I would love this book as much as I did, and I did not want the series to end. Jemisin's writing style is beautiful, her story's romantic and sweeping and heart breaking. I could barely stop reading and plowed through this book while on my vacation. I can't pick a favourite story. The characters are memorable and so easy to love, the worlds rich complex, and utterly fascinating, and the romances absolutely breathtaking. This is the kind of series that inspires generations of young writers. I honestly can't believe I waited so long to read her work and am going to go tell every fantasy reader I know to pick up her books and start on them. I've never read anything like this, and cannot wait to experience more of Jemisin's work. Had never read this author before but searching her out. Unique world and story, plot is enjoyable to read and you can't guess what's happening next most of the time. Characters varied and well developed. Overall I loved every moment.